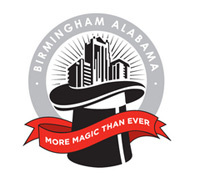 The fact that Birmingham, AL ranked as the country’s 30th craziest city in a recent list shouldn’t be what throws you for a loop. It should be the ability to be reminded about just how crazy some of the laws on the books in the state of Alabama are. So where is the weirdest city in the U.S. according to the list created by The Daily Beast based on the number of psychiatrists per capita, stress levels, eccentricity and drinking levels (our numbers are 9, 31, 36 and 38 respectively)? Cincinnati, OH.